A Gift Guide for Ranchers. 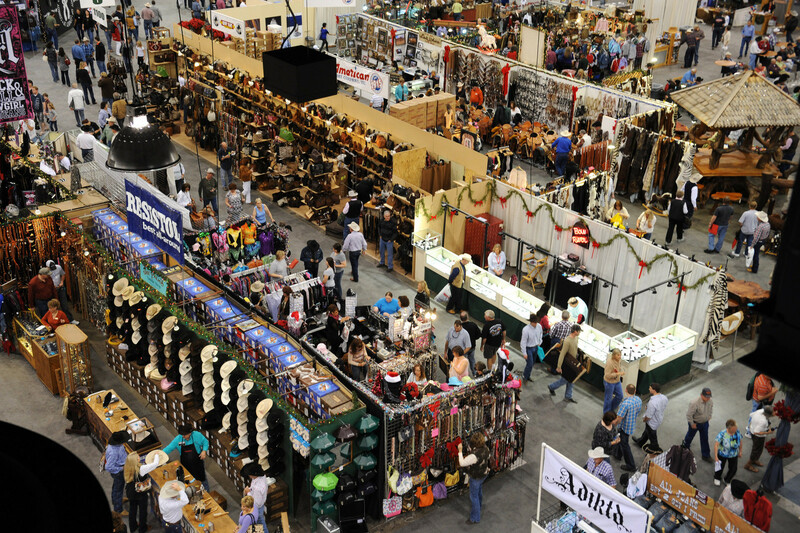 We're in Las Vegas today, shopping at Cowboy Christmas. It's like the mecca of shopping for anyone involved in the Western lifestyle. I'm doing a little Christmas shopping for some last minute gifts, and so I thought it'd be fun to list some ideas for ranchers. I don't think I'm the only one who finds that shopping for the guy in our life can be a little intimidating. Guys are good at just buying what they need, and if your guy is like mine - he doesn't have a lot of things that he "wants". I find that when it comes to gift-giving, practical is often best. 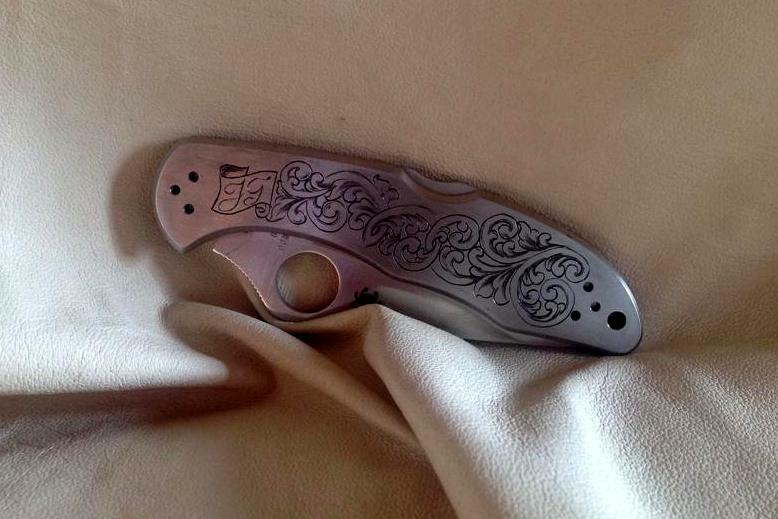 But I also try to put a personal spin on the gift if I can, thru engraving or leather work - that way they have an item that is practical, but also uniquely theirs. Below is a quick list of ideas that I think any guy - rancher or not - would love to receive. What rancher doesn't carry a knife? Perfect for cutting strings, at hand for skinning a calf if needed, and available for any general tasks that come up on the ranch. I purchased a knife for Clint last year at Christmas, and my friend Amy engraved our brand on the handle. The one pictured above is one she made for her brother in law. You can check out Amy's work on her Facebook page here. Amy is a beautiful engraver & silver craftsman. One of my favorite gifts (an engraved silver ring with our brand in gold) was made by Amy - you can't go wrong with an item crafted by her! Flexible fingers. Hides that can withstand fixing fence. Warmth & comfort. 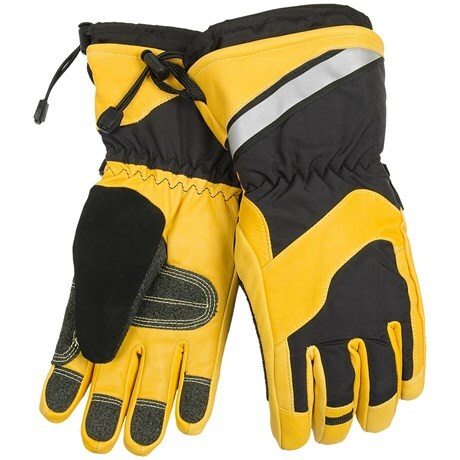 You can't go wrong with a good pair of gloves. My picks for gloves are here, here, here and here. 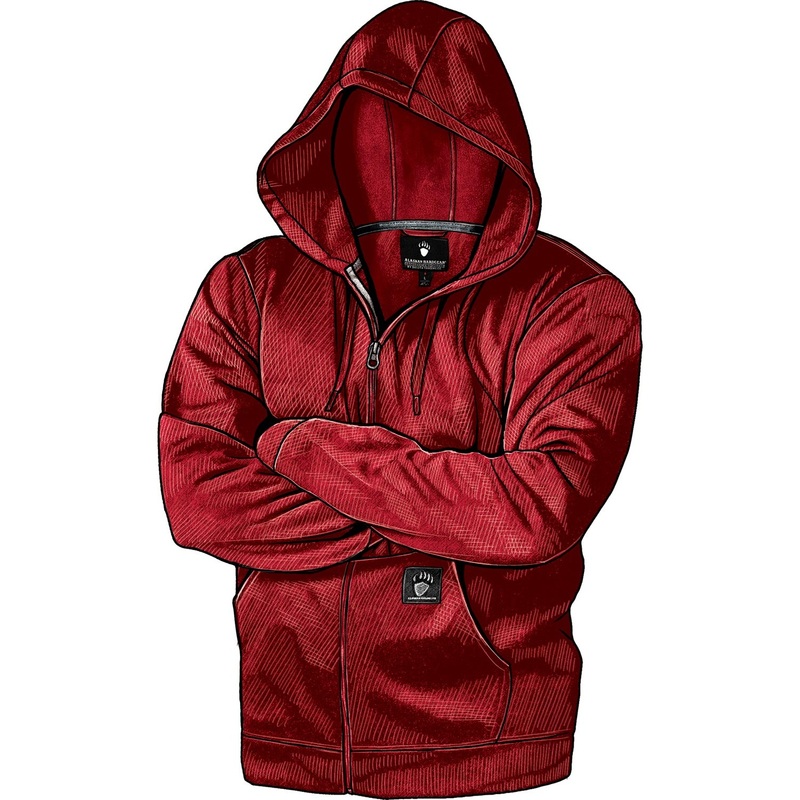 For the men: If you're going to invest in a jacket, you should get one with a hood. It'll block rain & wind & allows for a quieter conversation on a cell phone when calves are bawling. 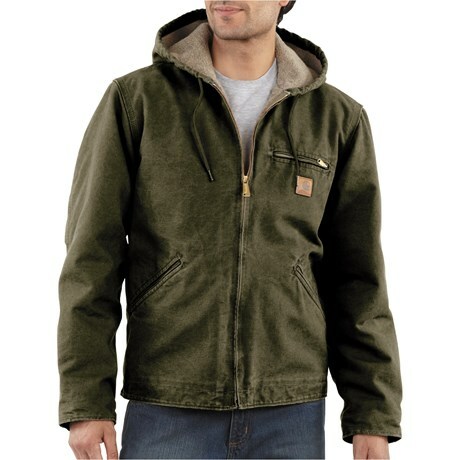 Clint normally wears a Carhartt jacket and this one is on sale here, or I also like this one. 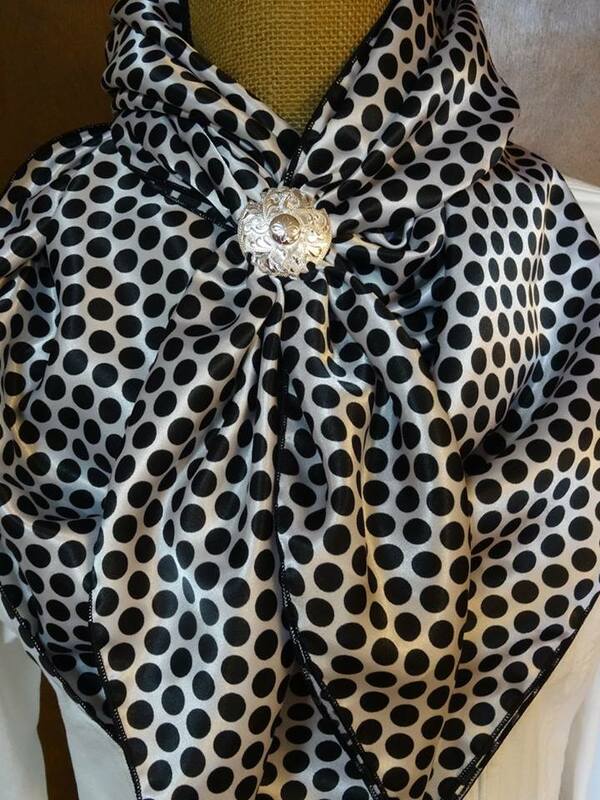 For the ladies - my favorite jacket is this one sold by Tractor Supply. C.E. Schmidt makes a really comfortable, roomy jacket that is tailored for ladies. I'm on my 3rd year with this jacket and it washes and wears beautifully. We also like anything made by Alaska Hardgear. You can't go wrong with their quality, and they know how to make things that will keep you warm. 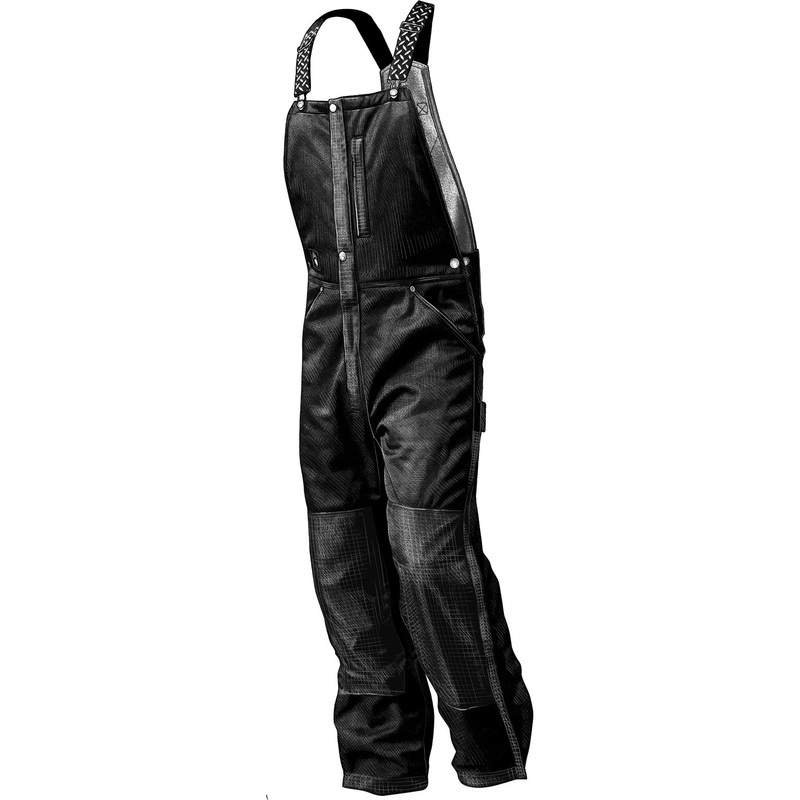 I have a pair of the bibs pictured above and they are super warm and really comfortable. When we're breeding cows and it's cold, Morgan usually wears these too. They're a touch on the expensive side, but I've had mine since 2009 and the zippers still work and they've been thru multiple washings. If you've been a reader for awhile, you'll know that I love (LOVE!) Under Armour's "Ayton" line. It is spendy, but you get your money's worth. I bought mine locally at D & B supply, but you can also go online to UA's site and buy there. Every time I wear my Ayton pants, I'll get questions about them because they're quiet, soft, warm, have an elastic waistband (that you can wear a belt with if needed) and they don't get dirty easily. I wish they made their bibs in a Tall version for Clint, but if the guy in your life can wear a 32'' bib, these are the ones I'd buy. 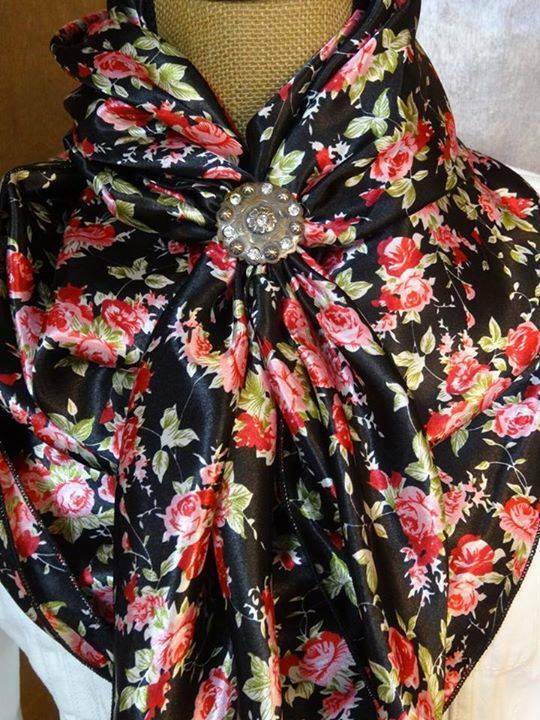 My friend Sarah recommends these wild rags by Doris. She has awesome colors and both large & small wild rags. Here's an inexpensive, high quality gift for your guy that only he will have. 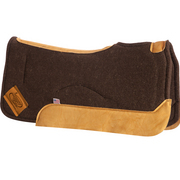 I am not a horse person but I know how valuable a good saddle pad is. Most guys are pretty picky about theirs, and this is one department where I truly think you get what you pay for. Clint likes the Impact Gel saddle pads, and these look neat too. A new piece of tack. I don't know about you, but I am super intimidated when it comes to buying tack. 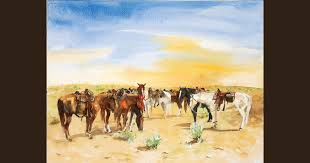 Whether a bit, a set of reins, a bosal or a rope - my tactic when it comes to these things is to ask Clint's friends who also ride what they think he may like. Buying a piece of tack for a guy is like buying clothes for a woman - they all fit differently. :) My other advice is to buy something that is a bit higher quality than he'd normally buy so the gift is special. So if he'd buy a basic set of using reins, maybe look into a pair of small strand braided rawhide reins. Bits are tougher to buy - that's where you really need to be kind of sneaky and ask questions. 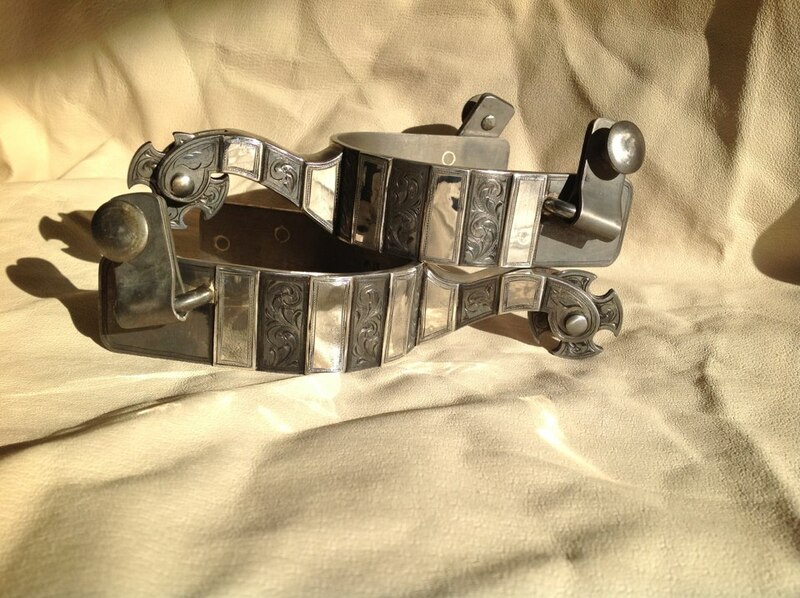 When in doubt - buy a set of spurs or a set of carved spur straps. Spurs come in all price points, and I'd recommend going easy on the rowel size - unless you know your guy likes a fancy/showy rowel. 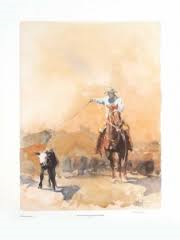 My go-to buy for Clint used to be a Buck Taylor print for his birthday or holidays. Then we ran out of wall space - LOL. Our personal favorite artist is Buck, and he has many beautiful prints to choose from. There are many artists out there to choose from though - Tim Cox, or David Stocklein would be two others I'd recommend as well. I hope this post helps you find some great gifts for the guy in your life. PS - If you have an idea I haven't mentioned, or a brand you love, please leave it in the comments! Goodness knows we can all use some help in this department! Keep an eye out for Old West Cedarmill at the Sands. I have purchased several items from them.